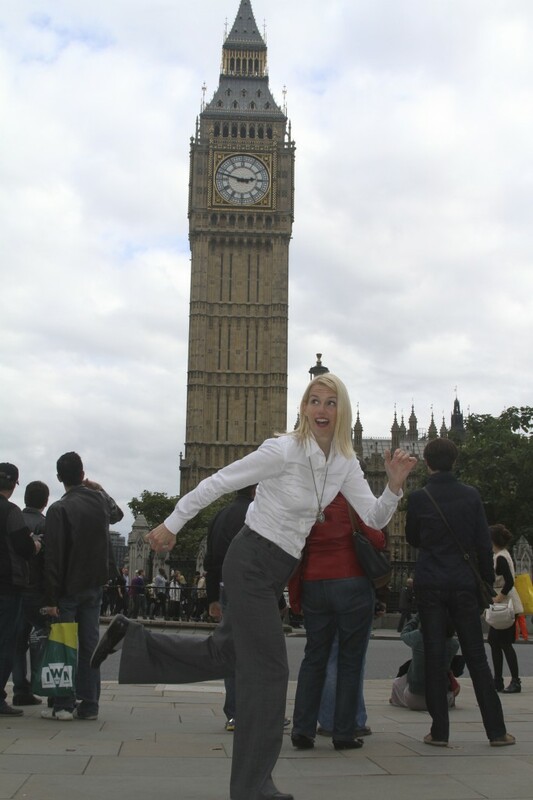 The Elizabeth Tower in London. Traipsing through one dazzling location after another, I did get a lot of exercise in Europe. Still, I wanted some resistance training to keep from getting saggy. Packing large heavy weights in my suitcase would have been silly, and fortunately, unnecessary. As you can see, I found heavy things to lift. 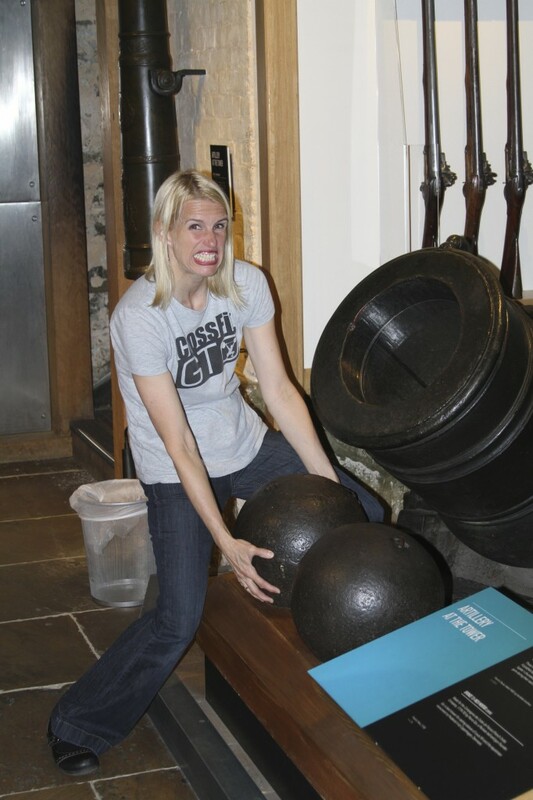 Okay, I didn’t really lift the cannonballs. Before we even took off, I began doing exercises that use my own body weight for the resistance needed to build strong muscles. L – sits at the airport. 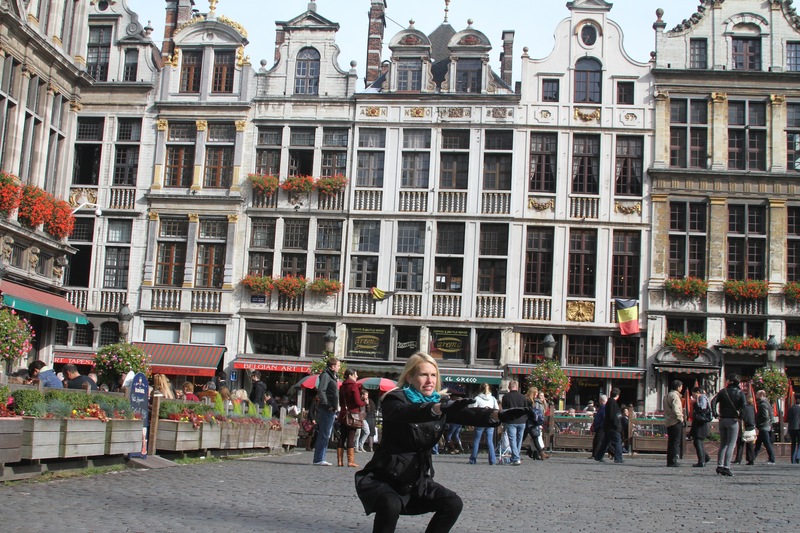 More squats in the Grand Place in Brussels! Walking along a street in Paris, I decided it was time to do a handstand. 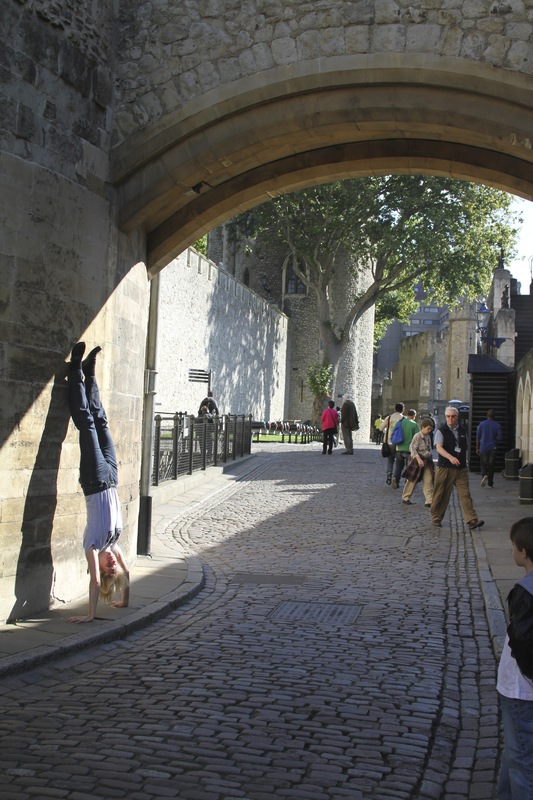 I couldn’t pass this beautiful spot at the Tower of London without doing another handstand. I really need to lock out my elbows and have straight arms, though! Yes, some people wondered what I was doing… like the fellow looking at me in the photo above (not Tanner, the gentleman further back). If you’re uncomfortable with the idea of putting your hands on dirty old sidewalks and having strangers observe your unusual behavior, I recommend trying the handstands against a wall or door of your hotel room. Push-ups and sit-ups work especially well in a hotel room, since they take very little space. I did a bunch of those also! 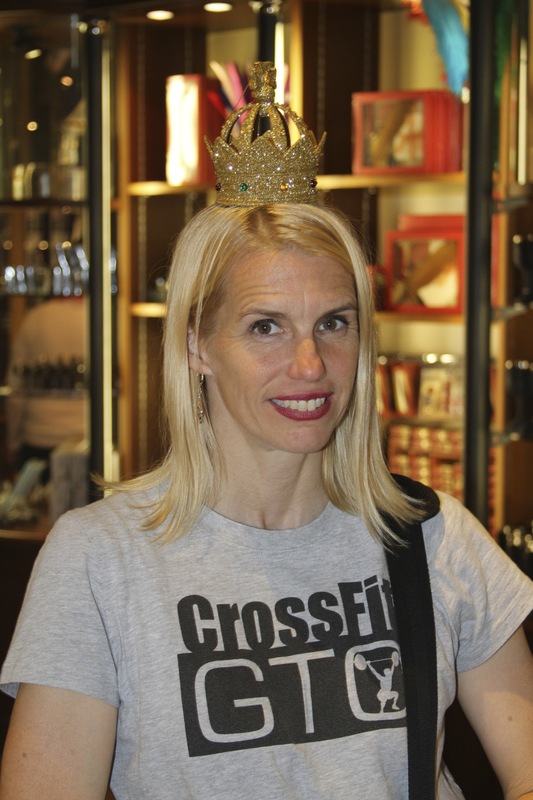 As I mentioned a couple of posts ago, I didn’t really do yoga on my trip. But here are poses I did just for fun… and to have something to hang up on the photo sharing board of the yoga studio I go to! Half Moon Pose at the Eiffel Tower. 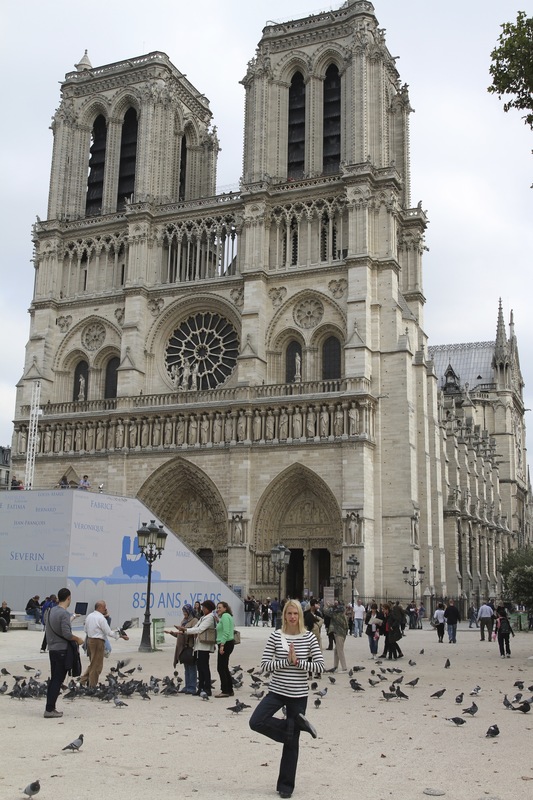 Standing Bow Pose at Notre Dame de Paris. Tree Pose at the other side of Notre Dame de Paris. 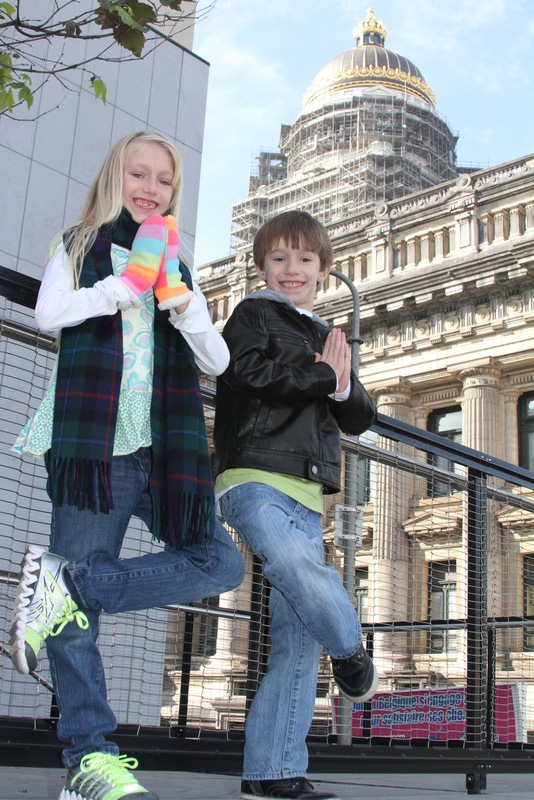 Here are my kids imitating my Tree Pose. And here I am imagining I’m the fitness queen! 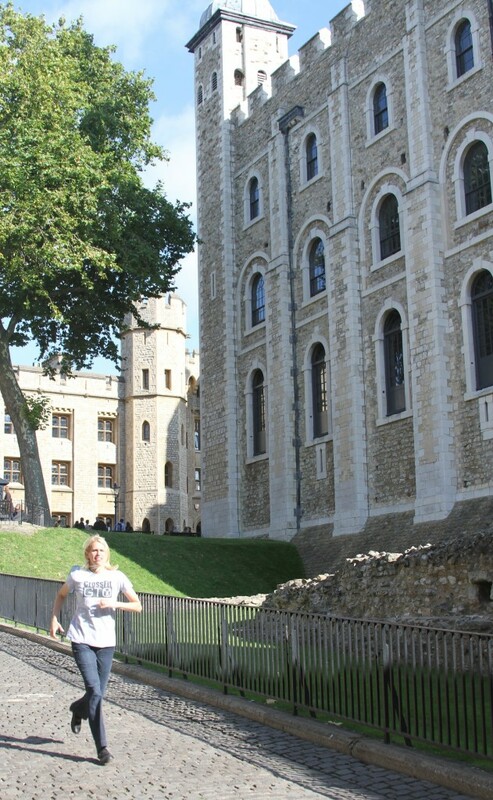 At the Tower of London gift shop.